Entrance to Blacklead Island, Cumberland Gulf, Baffin Island, Northwest Territories (present-day Nunavut) by Albert Peter Low, 1903–1904. Canada claimed sovereignty of its Arctic territory in 1904: the law moved north and surveyors catalogued the land. This act reinforced old ideas on identity. It defined Canada, all over again, as a northern nation. When I first started doing historical research in photography during my master’s program at Carleton University, I practically lived at Library and Archives Canada. The collection is fantastic, and it was the most amazing experience for me to be looking at photographs taken over a 150 years ago. Since then I have continued to research historical photographs, as well as acting as curator for contemporary photography at the Canadian Museum of Contemporary Photography and now the National Gallery of Canada. I have always been interested in exploration photography, or government uses of the medium. The Humphrey Lloyd Hime photographs are particularly interesting in that they are the first known paper photographs made of the North American interior. The camera was a tool for various interests, but it also was a way to encapsulate many preoccupations of the period, especially the shifts that occurred in religion because of scientific discoveries. Many so-called objective photographs made at this time also reflect spiritual beliefs and morality. As well, Western aesthetic values play a part in communicating ideals and the best photographers of the period, such as Alexander Henderson, are highly adept at manipulating tone, line, shape and texture to merge the sublimity of the landscape with the period’s fervent faith in scientific and technological progress. Although this photograph presents a barren and seemingly empty landscape, the area was anything but inactive. Albert Peter Low (1861–1942), a senior Geological Survey of Canada officer, took this photograph of the entrance to Blacklead Island during a Canadian government funded expedition in 1903–04. He published an account of his journey in his famous book, The Cruise of the Neptune. Historically, Blacklead Island was an important whaling station, but at the time of Low’s expedition, whale stocks had nearly all but vanished in the area. As well, whaling stations had radically changed Inuit lifestyle, hunting cycles, and economies. The purpose of Low’s expedition was to establish Canadian sovereignty in the north through proclamations and rule of law. Low’s photograph, however, reveals nothing of this political agenda. Rather he presents a peaceful view, taking advantage of the panorama’s extended format and classic elements of the sublime. The iceberg appears gargantuan and overwhelming, alluring in its whiteness. The island, in contrast, is dark and more detailed. The two subjects, ice and rock, appear held in opposition, suspended between a cloudless sky and a rippling, frigid sea. 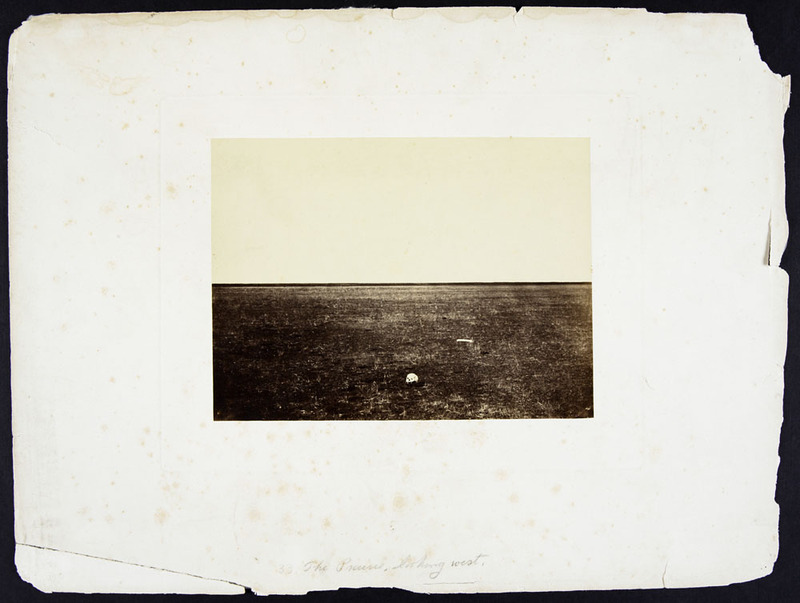 Humphrey Lloyd Hime’s The Prairie Facing West (1858) is one of most enigmatic images in the history of Canadian photography. It depicts an austere landscape in which a human skull and (human?) bone appear. The photograph was taken near the Red River settlement, now the city of Winnipeg. Hime was working for the Assiniboine and Saskatchewan Exploring Expedition sent by the government to assess the agricultural potential of the area, and its suitability for settlement. He depicts the land as empty, ostensibly awaiting human occupation. However, the presence of the skull is provocative. Most likely, Hime staged the photograph using the skull of an Aboriginal woman he had found earlier in an area of southern Manitoba. As he wrote in his diary on June 28, 1858, “…found a skull close to grave on prairie—it was all pulled about by wolves—kept the skull.…” This encounter informs the image in numerous ways. The photograph may represent Hime’s recreation of his experience, or be a way to incite drama into an otherwise nondescript landscape. The appearance of the skull is also tied to the fascination of 19th-century society with Indigenous methods of burial. However, as the caption does not state that the skull belonged to a native person, viewers might anxiously interpret the land as containing the possibility of their own death and hardship. At this point, the interior of the country was largely unknown, with many thinking it contained a wasteland of Biblical proportions. 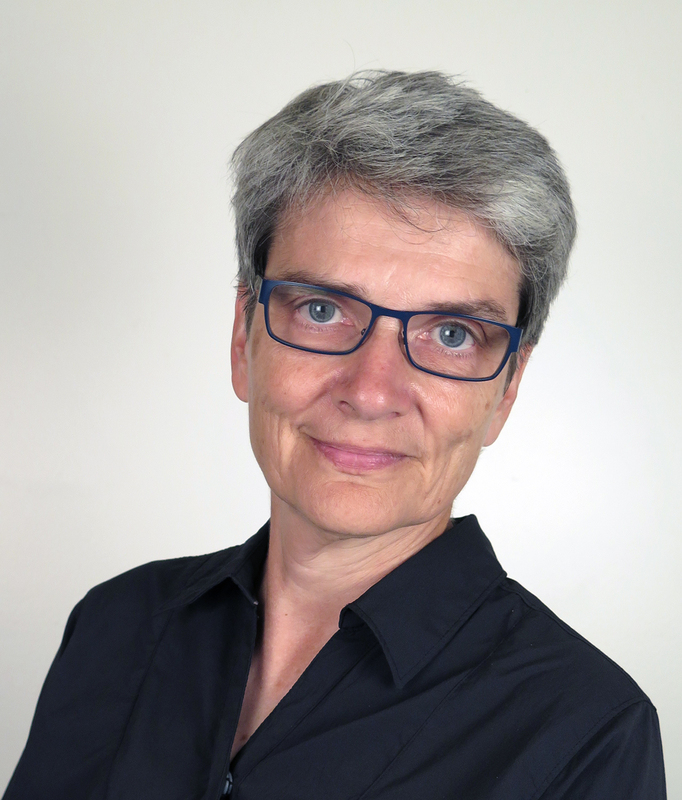 Andrea Kunard is an Associate Curator of Photographs at the National Gallery of Canada. She has presented several group and monographic exhibitions on contemporary photography including Shifting Sites (2000), Susan McEachern: Structures of Meaning (2004), Steeling the Gaze (2008), Scott McFarland: A Cultivated View (2009), Fred Herzog (2011), Clash: Conflict and Its Consequences (2012), and Michel Campeau: Icons of Obsolescence (2013). She is presently co-curating a major retrospective on Newfoundland-based artist Marlene Creates as well as a survey exhibition Photography in Canada: 1960–2000 for 2017. She has taught the history of photography, Canadian art and cultural theory at Carleton and Queen’s University. In addition, she co-edited The Cultural Work of Photography in Canada, published by McGill-Queen’s University Press. She has lectured on photography throughout Canada, and written articles on contemporary and historical photography in a variety of publications including The Journal of Canadian Art History, the International Journal of Canadian Studies, Early Popular Visual Culture, Muse, BlackFlash, and ETC Montréal. She is currently working on a major web-based project on documentary photography that centres on the National Film Board Still Photography Division collection at the National Gallery and Library and Archives Canada. This entry was posted in Exhibitions, Indigenous Resources, Photography and tagged Canada150, exhibition, Geological Survey of Canada, Northern Canada, Photography, the Prairies by Library and Archives Canada Blog. Bookmark the permalink.